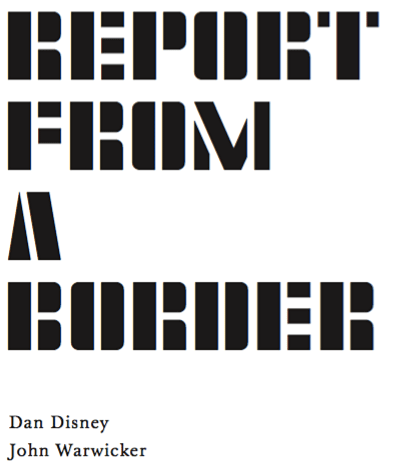 Report from a Border by award winning poet Dan Disney is a speculative experimental narrative set in the near future, with drifting discovery of urban environments (psychogeography) and what can be read as a catastrophizing Anthropocene worldview. 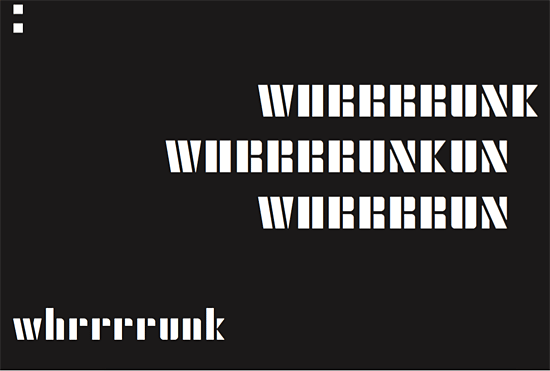 The typography by award winning designer John Warwicker deliberately plays on/talk to/emulate the content of the poem. Dan Disney is currently based in Seoul, where he teaches with Sogang University’s English Literature program. His critical work appears in journals across the world, and his poetry has most recently been awarded the Vincent Buckley Poetry Prize and the Gwen Harwood Poetry Prize. He is completing a book of “villaknelles”. John Warwicker lives and works in Melbourne whilst still being an active member of the London-based multi-disciplinary creative studio, tomato. He is also a member of the prestigious Tokyo Type Directors Club. His work and articles written by him have appeared in the design and art press across the world. His monograph, 'The Floating World', won the special prize at the Tokyo Type Directors Club in 2010. The standard edition is limited to an edition of 50 books, signed and numbered by the poet, while there is a larger format deluxe edition with dust-jacket on Valentinoise Flanelle 300gsm hand printed letterpress by Angela Gardner limited to six signed copies only.